The following article was written by Charles Johnson and published with Bleeding Heart Libertarians, November 16th, 2012. Left-libertarians are sometimes known to stick on distinctions and the definitions of words. We contest commonly understood definitions of political ‘rightism’ and ‘leftism;’ we question the terms used in conventional economic debates over ‘capitalism’ and ‘socialism,’ ‘free trade agreements,’ ‘intellectual property,’ ‘privatization’ and ‘private ownership’ of the means of production. We have been known to do funny things with verb tenses when it comes to ‘freed’ markets; we brandish subscripts and three-way distinctions at the drop of a hat. Most famously left-wing market anarchists insist that we defend ‘free markets’ but not ‘capitalism’ – insisting that these are not synonyms, and drawing a sharp analytic distinction between the market form of exchange, and conventionally capitalist patterns of economic ownership and social control. There are some interesting discussions to be had about that distinction; but to-day I’d like to expand on a distinction sometimes left out in discussing distinctions between the “markets” that left-libertarians defend and the “capitalism” that we condemn – two different senses that are often jammed together within the first half of that distinction – within the concept of market relationships. The distinction between the two is crucial, and both advocates and critics of market economics have neglected it much too often: when we talk about “markets,” and “free markets” especially, there are really two different definitions we might be working with – one broad, and one narrow. What is “a market,” ultimately? It is a set of human relationships. And it is a notion with a certain history and familiar examples. But in modern social and economic debates, “market” has taken on meanings far beyond any concrete marketplace. What has been abstracted away, and what has been held as essential? The kind of relationships we are likely to have in mind varies, depending on which elements of marketplaces we have chosen to focus on – in particular, whether we focus (1) on the elements of individual choice, negotiated contracts and free competition; or (2) on the elements of quid pro quo exchange and commercial relationships. Focusing on (1) gives us a concept of markets as free exchange. 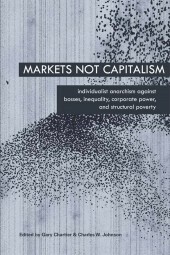 When market anarchists talk about markets, or especially about “the market,” we often mean the sum of all voluntary exchanges – and when we speak of freed markets, we mean the discussion to encompass any economic order based – to the extent that it is based – on respect for individual property, consensual exchange, freedom of association, and entrepreneurial discovery. So to say that something ought to be “left up to the market” is simply to say that it should be handled as a matter of choice and negotiated agreements among free individuals, rather than by coercive government. Focusing on (2) gives us quite a different concept, markets as the cash nexus. We often use the term “market” to refer to a particular form of acquiring and exchanging property, and the institutions that go along with it – to refer, specifically, to commerce and for-profit business, typically mediated by currency or by financial instruments that are denominated in units of currency. Whereas free exchange is a matter of the background conditions behind economic and social agreements (that it is mutually consensual, not coerced), the cash nexus is a matter of the terms of the agreements themselves – of agreeing to conduct matters on a paying basis, in a relatively impersonal quid-pro-quo exchange. Now one of the central points of free market economics is that “markets” in these two senses are positively interrelated. When they take place within the context of a system of free exchange, there can be a positive, even essential role for social relationships that are based on the cash nexus – producing, investing, buying and selling at market prices – in the sustaining and flourishing of a free society. But while linked, they are distinct. Markets taken broadly – as free exchange – can include cash-nexus relationships – but also much more. Free exchange may, in fact, include many features that compete with, limit, transform, or even undermine impersonal cash-nexus relationships in particular domains. Family sharing is part of a free market; charity is part of a free market; gifts are part of a free market; informal exchange and barter are part of a free market. In a freed market there would be nothing to outlaw the features of business as usual in our actually-existing economy – wage labor, rent, formalized business organizations, corporate insurance, corporate finance and the like would all be available as theoretically possible market outcomes. But so would alternative arrangements for making a living – including many arrangements that clearly have nothing to do with business as usual or capitalism as we know it: worker and consumer co-ops, community free clinics and mutual aid medical coverage are examples of voluntary exchange; so are wildcat, voluntary labor unions. So are consensual communes, narrower or broader experiments with gift economies, and other alternatives to prevailing corporate capitalism. This broad definition of markets is so broad that you might suggestively describe a fully free market, in this sense, as the space of maximal consensually-sustained social experimentation. But while the freedom and growth of spaces for economic and social experimentation is always something to be desired and defended from a libertarian standpoint, the value of a cash nexus, in economic and social relationships, depends entirely on the social context within which it is embedded. Free-market anticapitalists have pointed out the central role that “pro-business” government intervention has played in shaping our daily encounters with bills and business, livelihoods and labor, commodities and consumption. Political privileges to corporate business models, government monopolies and captive markets are deeply entrenched, centrally positioned, pervasive in the actually-existing corporate economy, and overwhelming in scale. Moreover, interlocking government interventions systematically act to restrain, crowd out, bulldoze or simply outlaw less hierarchical, less commercial, grassroots or informal-sector alternatives to corporate-dominated rigged markets for daily needs, whether in making a living, or in housing, or health care, or access to credit, or mutual aid, insurance and crisis relief. These deep, structural features of the economy shove us into labor, housing and financial markets on artificially desperate terms; they deform the markets we are pushed into through an intense concentration of resources in the hands of the privileged, without the fallback of small-scale enterprise and grassroots alternatives that might otherwise prove far more attractive. Left-libertarians insist on the importance of this point because in discussions of market economics it is so easily missed, mistaken simply as business as usual and everyday life in a market economy. But when it is missed, people who oppose the worst inequities of the rigged-market system too easily blame the inequities on the freedom, or unregulatedcharacter, of market institutions; while those who wish to stand up for freed markets find themselves on the defensive, trying to defend indefensible institutions when they should be pointing out that their worst features are the product of market constraints. When leftists complain about commercialism gone mad, about the looming presence of bosses and landlords and debts in our day-to-day lives, about the crises that workers face every month just to pay the rent or the medical bills, we must realize that they are talking about real social evils, which arise from markets in one sense, but not in another. They are talking, specifically, about what the cash nexus is made into by political privileges and government monopolies, when competing alternatives among businesses, and competing alternatives to conventional business models, have been paralyzed, crowded out, or simply outlawed by the actions of the corporate state. And they are talking about social relationships that libertarians need not, and should not, waste any energy on defending. Whatever positive and liberating roles cash-nexus relationships may have in the context of free exchange – and it is important that they have many – they can just as easily become instruments of alienation and exploitation when forced on unwilling participants, in areas of their life where they don’t need or want them, through the immediate or indirect effects of government force and rigged markets. Suppose we grant, for argument’s sake, the modest explanatory claim about the dominant players in the capitalist economy – from the business practices of Fortune 500 corporations, to our daily confrontations with employers, landlords or financial corporations. Their size, competitive dominance, and much of their everyday business practices, are substantially the result of the subsidies they receive, the structural privileges they enjoy, and the political constraints on competing businesses, or more informal, less commercial alternatives to their business just as such – competitors who might check them, unseat them, or simply dissolve the need for them in the first place. In an age of multitrillion-dollar bank bailouts, it is not hard to accept that much of actually-existing fortunes and business as usual in the corporate economy as we know it – specifically including much of the abusive power condemned by critics on the Left – are not the result of serving willing customers or ruthlessness in market competition; they are to a great extent the product of exploiting political constraints forged by the alliance of interests between big government and big business. Even if you accept this explanatory claim, you may may still wonder why left-libertarians insist as confidently that we do that uncontrolled economic competition will not only alter the position of these incumbents, perhaps with some ceteris paribus tendency towards less concentrated wealth and less corporate or businesslike arrangements in economic life – but will positively and qualitatively transform the economic landscape. Left-libertarians are radicals and typically quite optimistic that from fully liberated market processes will naturally emerge the grassroots, alternative economies that they favor, with qualitative social shifts away from (among other things) wage-labor, landlordism, corporate ownership, large firms and to some significant extent corporate commerce as a whole. This is a strong claim, stronger than the explanatory claim alone – call it the bold predictive claim – not only about ceteris paribus tendencies, but about the prospects for mutualistic economies to arise from freed market processes, and to bring about the greater economic equality, social equality, cultural progress, and ecological sustainability that left-libertarians promise to achieve through libertarian means. Of course, as I have argued at length, there is a straightforward case for a possibility claim that they might arise. A “market economy” in the broad sense need not be an economy dominated by cash nexus relationships, and people might choose to adopt any number of radical experiments. And as as left-libertarians have repeatedly pointed out, the empirical fact that a qualitatively different economy hasn’t yet arisen cannot be explained simply by the dynamics of free markets – we don’t have a free market, and the actually-existing dominant model is (as we have granted) dominant precisely because of the regressive redistribution of wealth and the political constraints that state capitalism has imposed. The boldness of the bold predictive claim comes, I’d argue, from the combination of two distinct elements of the left-libertarian position. The first – the economic tendency claim – involves a cluster of empirical observations and theoretical developments in economics. It is, really, not so much a single critical claim or a unified theory, as a sort of research programme for a mutualistic market economics, drawing attention to a number of areas for study and discussion. If the modest explanatory claim demonstrates some ceteris paribus tendency towards a weaker and more unstable position for corporations, and towards greater roles for anti-capitalist, non-commercial, informal-sector or independent alternatives, then the stronger economic tendency claim would draw attention to factors affecting the strength of the tendency, and the strength or weakness of countervailing factors that might keep ceteris from staying paribus after all. Areas it marks out for attention include principal-agent problems and knowledge problems in large organizations or hierarchical relationships; the assumption of risk, time horizons, transaction costs and other factors in conventional corporate forms and also in alternative, non-corporate models of ownership, management and financing; the possible shifts in risk tolerance, consumption spending, or interest in social capital under conditions of greater freedom and less precarious material conditions; and many other questions for detailed empirical research that I can only hint at within the scope of this essay. 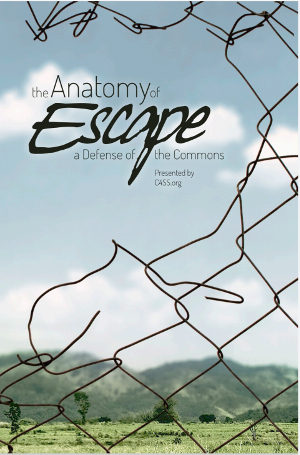 But in addition to the empirical research programme the economic tendency claim suggests, left-libertarians also defend a second, normative claim, drawing on the possibility of less hierarchical, less formalized, and less commercialized social relationships, and the desirability of conscious, concerted, campaigns of stateless social activism to bring about the social conditions we value. Left-libertarians do not only suggest that employers, management hierarchies, or conventional commercial enterprises will tend to face certain ready-made economic difficulties and instabilities in a freed market; we aim to make ourselves and our neighborhoods more difficult to deal with, by consciously organizing and becoming the alternatives we hope to see emerge. Our leftism is not a research programme only, but an activist manifesto. The shape of a free society is formed not only by anonymous economic tendencies and “market forces,” but also by conscious social activism and community organizing. “Market forces” are not superhuman entities that push us around from the outside; they are a conveniently abstracted way of talking about the systematic patterns that emerge from our own economic choices. We are market forces, and in markets broadly understood as spaces of freewheeling social experimentation, it is in our hands, and up to us, to make different choices; or shift the range of choices available, through the creative practice of hard-driving social activism, culture jamming, workplace organizing, strikes, boycotts, sit-ins, divestiture, the development of humane alternatives, counter-institutions, and the practice of grassroots solidarity and mutual aid. This is, of course, simply to state the normative claim; I’ve only outlined the conclusion, not (yet, here) given an argument in its favor. 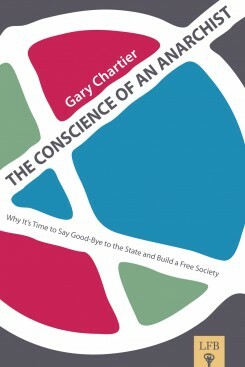 Left-libertarians’ case for stateless social activism rests on a set of arguments that I can only hint at within the space of this essay, but the normative defense of a broadly leftist programme of social and economic activism may draw support from (1) independent ethical or social considerations in favor of greater autonomy, less hierarchical, less privileged, less rigid, more participatory and more co-operative social relationships. 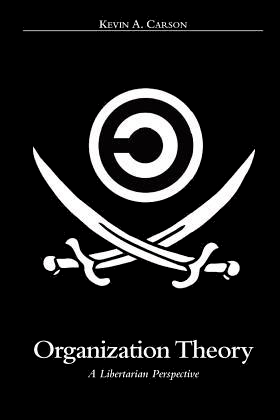 And it may draw support also from (2) arguments in favor of a “thick” conception of libertarianism, drawing from and mutually reinforcing integrated commitments to a radical anti-authoritarianism, and to concerns about broad social dynamics of deference, privilege, participation and autonomy. At any rate, the normative and activist element of left-libertarian claims about freed markets may help explain the strength of the bold predictive claim, as follows. 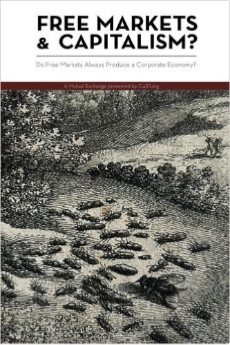 Market anarchists’ inquiries under the economic tendency claim give us reasons to suggest, more or less strongly, that getting rid of rigged markets and interlocking radical monopolies would be sufficient to bring about a sort of laissez-faire socialism – the natural tendency of freed markets may well be for ownership to be more widely dispersed and for many forms of concentrated social or economic privilege, stripped of the bail-outs and monopolies that sustained them, to collapse under their own weight. But left-libertarians see freed markets as characterized not only by laissez-faire socialism, but also entrepreneurial anti-capitalism: whatever reasons we may have to predict that some concentrations of economic or social power may not simply collapse on their own, left-libertarians, drawing on the resources of grassroots, nonviolent social activism, intend to knock them over. The strength of the predictive claim, then, comes from its double origins: it is both a prophecy about the likely effects of market freedom; and a radical proposal about what to do with what remains. Per the request of BHL, the comments will be turned off here so that they can be redirected to the original article. Portuguese, O Ousado e o Desejável: Profecia e Proposta.